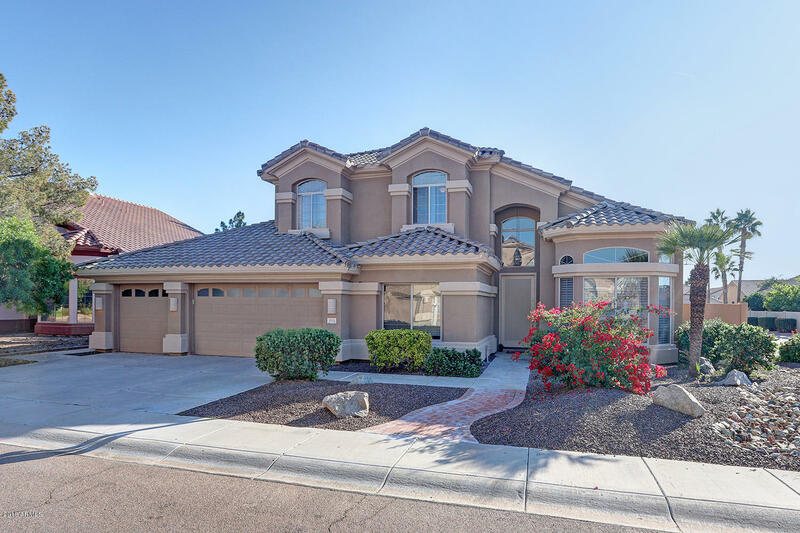 All ARABIAN homes currently listed for sale in Scottsdale as of 04/23/2019 are shown below. You can change the search criteria at any time by pressing the 'Change Search' button below. "BOLD BEAUTY. Wonderful curb appeal invites you in to this marvelous multi-level home, on a corner cul-de-sac lot in the Magic 85254 Zip Code's North of Bell Corridor. The welcoming interior has vaulted ceilings, rich wood-look floors and dual-pane windows. A well-appointed culinary space, the eat-in kitchen enjoys slab granite, handsome hardwood cabinets, stainless appliances and a sunlit breakfast room. The grand living, dining and family rooms are perfect for entertaining. Downstairs den is ju"